Tired of using dual SIM phones, where you’re limited to sharing a phone between two SIM cards? Then what about dual display? Yota, a company which operates in several countries including Germany, Canada, Finland, Singapore, and Russia, has released the YotaPhone, a dual display smartphone that gives you an option of having more screen without actually enlarging the phone size. It was recently launched in India for INR 23,499 (SGD 500, MYR 1500 approximately) and is available from Flipkart. Are You Ready For The $40 Smartphones From India? The phone is a killer device, if you go by the traditional methods. Qualcomm Snapdragon 400, 1.7GHz dual core CPU, 2 GB RAM, 32 GB internal memory (no external), 4.3 inch display at 342 ppi on a IPS LCD display under world-first curved damage-resistance Gorilla Glass from Corning. Add to that, a 13 MP primary camera, pinpoint accurate GPS location system using GLONASS, 3G and 4G (with LTE CAT3 B3, B7, B20 MIMO) support, and a decent enough 1800mAh battery. Pretty powerful package, I say. But these are not unique. What is really unique is its the dual display. As you have guessed correctly, there are two displays on either side of the phone. So, you can simply feel like having two phones, one side for your work life, the other side for your Facebook, Whatsapp, Youtube and games. 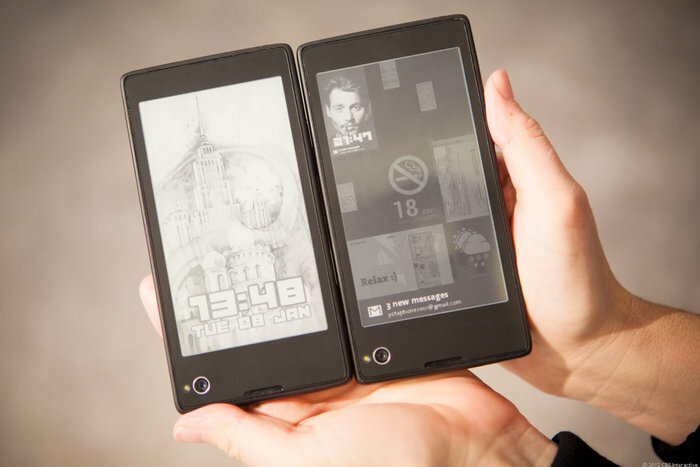 While one screen functions like a usual smartphone screen, the other is an e-ink screen, similar to that of a Kindle. 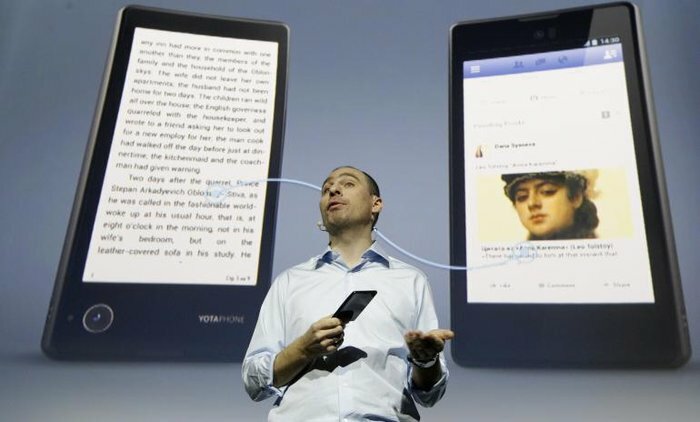 According to Yota, there is up to 60 hours of reading time using the e-ink screen on their phones, similar to that of the Kindle, and you can navigate items between the two with a simple gesture. What’s really impressive is also that it has a display called “Always On”, which stays on even when the battery has died. The e-ink screen, or electronics paper display, is what keeps the display “Always On”. For simple chaps like you and I, electronics paper is simply a very new technology for display which doesn’t need constant power supply. Using this means that even when your power has died, your display doesn’t. Here is a scenario. You are going to a new place and have no means to charge the battery when you realise the battery is dying, but you need the Google Maps to reach there. Take out your YotaPhone, open up on the map in the primary display, do a two-finger swipe, and the map will be transferred to your secondary “Always On” screen and you can use it for as long as you want. It isn’t going anywhere. Same can be said when you need to use your e-boarding pass to get on a flight, or a booking reference for a hotel reservation. If nothing is needed, how about keeping a motivational poster there or a to-do list to really get you going? In fact, YotaPhone will eliminate the need of those fancy display-backs because you can use almost anything on your second display. One problem though occurred to me, which is very relevant for sloppy people like me who always perform the “unintentional drop test”. With a need to use the flip side of the phone, you can’t possibly put a strong case or cover, can you? And with two screens to break this time, a ‘naked’ phone is very daunting. In this tone, let me also remind you of a similar effort: the Blackberry Z series came with two modes to switch between. With the name Blackberry being enough to repel people from buying it, it wasn’t very successful. How successful will Yota be? Looking at their website and marketing claims, hugely, I guess. 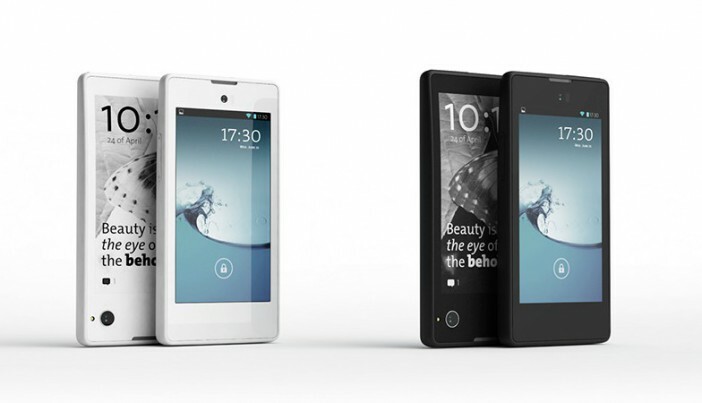 Jolla Is A Smartphone; However, It’s Not Android, iOS, Or Windows.